Countries of the whole Great Lakes region of Africa, but mainly and in a particular way, Rwanda and DRC, have been the theater of ongoing suffering of populations and million lives wasted, for almost two decades. The pursuit widely documented of strategic minerals by multinationals has continuously fuelled these tragedies. This is not about Fairbanks’ piece of writing neither a clarification about racism but only a reference to help shade some light on a dark and cynically cover-up of contemporary African history. Racism characteristics in the prevailing situation of Democratic Republic of Congo and Rwanda have been well overlooked for many years. On 23/4/10 in Brussels, during a demonstration requesting immediate release from a Rwandan prison of Victoire Ingabire Umuhoza, the leader of the United Democratic Forces-Inkingi, Joseph Matata, stressed how ashamed the international community should be at the nearly 8 million lives that ongoing and aftermath tragedies in the two countries have taken away unduly. The question he highlighted was whether such apathy towards the misery of their populations was due to the color of their skin. The indifference, – no I would rather say deep involvement, which fails to notice value in African humanity being spared day and night for so long, exceeds what I would’ve expected from the West. It somewhat explains the value the latter puts in its material pursuits. DRC has plenty of raw minerals which provide essential components in many global industries led by Western multinationals. 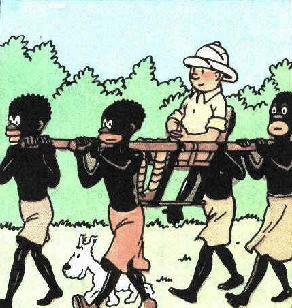 As for the exploitation of the precious resources, strategies King Leopold II used after the acquisition of Congo as a private property have slightly changed since 1885. Indigenous people died in millions, starved to death, from diseases, being forced to get required quota of rubber vines, or rebelling against forced labor. Areas of DRC that mining companies with international ramifications are currently interested in have an acute presence of rebellion groups. UN reports have in recent years recorded an average of twenty five such movements. Among these there is FDLR – Forces Democratiques de Liberation du Rwanda, that the Rwandan government has linked Victoire Ingabire Umuhoza to in its accusations against her. Weighing up the accusations as fabrications aimed at rather destroying Victoire and her party political ambitions, than searching for any truth there, the important side of the story is how such allegations enable to maintain the status quo for illegal exploitation of DRC resources, continuous abuse of human rights and systematic repression of populations in Rwanda. For many years, the international community namely and mainly US and Britain have been turning a blind eye on the attitude of Paul Kagame’s regime despite its totalitarian rule against its people and involvement in DRC. It’s like masters looking away when their agent is working abusively the labor force to get profits they are fiercely after. In the Balkans, when in the early 1990s ex-Yougoslavia and other countries of this European region disintegrated further to the fall of Communism, the whole West uses its forces and resources: military, economic and judiciary, to stop tribal like social unrests taking over. Maybe it was because this was happening very closely to home, with risks of contagion. Another explanation could be remembrance of past conflicts, not far away in the region which started there and engulfed the whole world with damages and consequences that are today not fully extinct from the collective memory of humanity. It surprises to observe that what worked in the Balkans, or other places like Northern Ireland, South Africa, or Burundi to solve continuous and social tensions cannot be applied to DRC and Rwanda situations, particularly by bringing around a table antagonist parties in the latter country. During King Leopold II rule over the Congo (today DRC), estimates from scholars such as Jan Vansina suggest that local populations halved further to causes already highlighted. In the last twenty years, ill-conquest of political power of current Rwandan leader, Paul Kagame, combined with the greed and insatiable pursuit of minerals of DRC by local and multinational stakeholders have resulted in the killing and oppression of millions. A Congolese friend told me months ago, ‘with the international crisis deepening, expect more involvement of capitalist interests than before in our region; otherwise where do you think they will get buffers to fill their current and enormous national deficits.’ I am convinced they could rebalance their books without resorting to unconditionally supporting their local agents in DRC and Rwanda who are enslaving their people, while the ultimate beneficiaries do the covering up.